The city of Rotorua is renowned for its rich Maori heritage and is one of the most popular tourist destinations in the country. Located in the centre of the North Island of New Zealand, Rotorua is only a leisurely three hour drive from Auckland (234km), the main city of New Zealand. Rotorua Airport is one of the busiest domestic terminals in the country. The Rotorua region covers 261,700 hectares and has a population of almost 70,000 people: where 35% are Maori. Whether you are seeking to experience Maori Culture, geothermal hotspots, thrills and adventure or any of the other natural assets such as the 16 lakes with some of the world’s best mountain biking trails, fantastic trout fishing and a myriad of forest walking tracks – Rotorua delivers it all! and only an hour and a half away from the ski fields and surf beaches. Check out our International Activities Page for more adventures in Rotorua that our International Students get to experience. "My experience at the New Zealand Sports Academy, while brief, is one that I’ll remember for the rest of my life. I learned a great deal about not only rugby but about the New Zealand and Māori cultures and will carry that with me wherever life and rugby take me. The passion for the sport of rugby found in the coaching staff and all the players at NZSA is infectious and has made me a better player. It will continue to keep me committed to this amazing sport, both on and off the field. 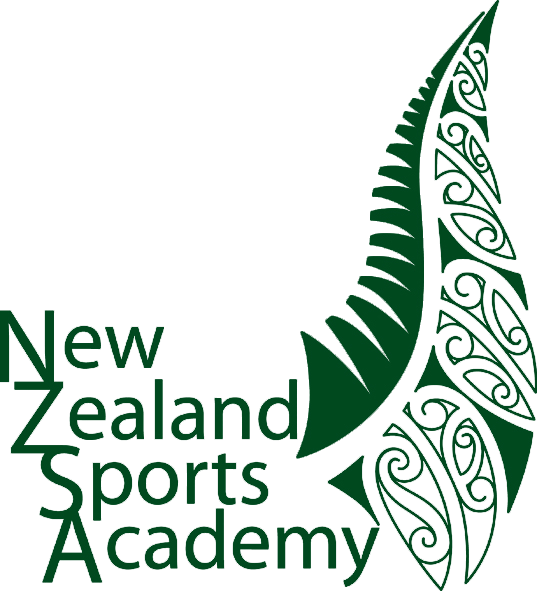 Being a part of the New Zealand Sports Academy was one of the best experiences I’ve had. I hope to, and have no doubt that I will, see players that I played with at the academy playing at the top level of rugby in the years to come. You have an amazing programme in an amazing area and I hope to one day make it back down to New Zealand. Best wishes to you all!" Head Office is based at a world class rugby coaching facility at Neil Hunt Park, Rotorua in the central North Island in New Zealand’s tourism capital. ​When you come to learn rugby at the New Zealand Sports Academy, there are plenty of things to do in and around Rotorua. Every Friday our International students experience a Rotorua activity or attend a Super14 or Airnz npc game. Rotorua has it all from Maori culture, geothermal experiences to thrill seeking adventure. Rotorua International Stadium, with seating for up to 34,000, is traditionally the domain of local and international sporting events and festivals. Rugby matches are regular fixtures throughout the winter season, with the stadium also popular with athletics, softball and other sporting codes. Agroventures is the home of unique New Zealand adventure activities. What makes us unique? Agroventures has the world’s only Shweeb, Rotorua Bungy – a New Zealand icon, the fastest jet sprint experience in the country – Agrojet, swing from 40m towards the earth at 130kmph, NZ’s one and only – Swoop and the Southern Hemispheres’ only Freefall Xtreme, wind tunnel. Skyline Sky rides is an all age, all weather attraction in Rotorua. Try out the many attractions at the top of the Gondola. Ride the Luge or one of our other exciting rides and activities. An evening at Mitai will give you an authentic introduction to Māori culture leaving you amazed and in awe. Enter the world of Mitai. Be enthralled by the natural bush setting, see warriors in traditional dress paddle an ancient warrior canoe (waka) down the Wai-o-whiro stream, and don’t miss your only opportunity in the Rotorua area to see glow worms in their natural habitat. Zorb Rotorua is the home of the Zorb. The world’s very first Zorb site! We have two 150m long straight tracks and a 180m long zig zag track for your Zorb pleasure. Our Māori culture is rich in the historically changing images of our people. From our long sea voyages our peace and our wars and of our survival, we wear the mantle of the land with dignity and respect. A visit to Agrodome is simply a ‘must do’ during your travels around New Zealand. Agrodome offers visitors a fun, interactive and really hands-on experience with Kiwi farming and the opportunity to meet our animals (including goats, cattle, deer, alpacas and ostriches) and take part in our world famous Agrodome Sheep Show. Let Rotorua’s most experienced Raft and Sledge Guide crew (The Kaitiaki Crew) assist you to descend the outstanding waterways surrounding Rotorua, in style. Mountain Action is an activity centre that offers outdoor adventure on the slopes of Mount Ngongotaha, overlooking the township of Rotorua, New Zealand. It covers 2500 acres of working farmland, pine plantation and native bush. Welcome to Mt Tarawera, resting within the traditional boundaries of the Te Arawa people. Māori people acknowledge an important significance to land and identify their role as kaitiaki or guardians of the natural domains and features for future generations. Mana Adventures is based in Rotorua at the city lake front. Māori owned and operated Mana Adventures prides itself in providing its customers with more than just a mere paddle around the lakes. Whether by Kayak or Waka our trained staff are ready to show you around some of the most spectacular scenic lakes Rotorua has to offer. ​Set amidst a landscape of erupting geysers, hot thermal springs and bubbling mud pools, is the living village of Whakarewarewa. Experience the unique lifestyle of our people in a natural, Māori village setting. ​Our purpose is to preserve the heritage of Māori people, encourage Māori culture and perpetuate the skills of Māori arts and crafts. When you enter the Institute, you’ll sense you’re in a special, blessed place and you’ll never forget the knowledge, history and experiences you’re about to learn. Join those who have experienced the health-giving waters and mud’s of Hell’s Gate WaiOra Spa, New Zealand’s only mud bath spa complex, traditionally Māori-themed and set in this very active thermal reserve. Kingsgate Hotel Rotorua is a low rise hotel of 136 rooms set in extensive grounds midway between central Rotorua and the world famous Whakarewarewa Thermal area. The Hotel has extensive leisure facilities including a heated outdoor pool, spas, sauna, tennis court and playground.